Perpetrators of hate crime and gang violence are turning to easily available weapons. Muslim communities are frightened. Image: Resham Khan, Go Fund Me. There is something particularly heinous about acid violence – it’s an act which is not only premeditated but which has the sole intent to cause lasting disfigurement. 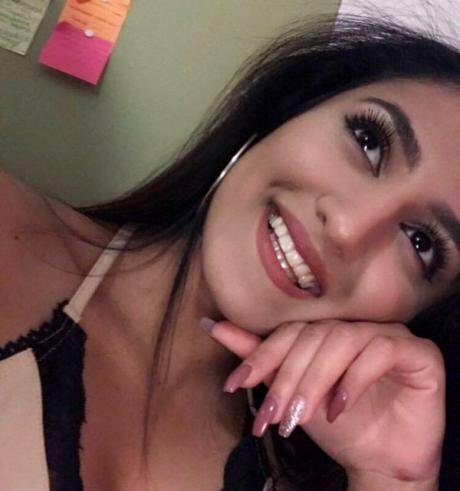 In East London on 21 June, Resham Khan and her cousin Jameel Mukhtar were subject to a horrific acid attack on Resham’s 21st birthday. The perpetrator has not yet been caught, and after a moving appeal by Jameel the attack was classified as a hate crime. Since the attack took place, there have been several reports on social media of acid attacks on ethnic minorities. Whilst not all the attacks have been substantiated by the police, there is a growing fear amongst Muslims that their community is being targeted. These fears are completely understandable – especially when placed side by side with attacks on mosques and the rise in Islamaphobic hate crime. A recent freedom of information request to the Metropolitan police found that acid attacks are on the rise in London – a total of 1490 acid attacks took place in London between 2011 and 2016 with 431 attacks in 2016, compared with 261 in the previous year. This is a trend that is being replicated nationally. Globally, acid attacks take the form of gender based violence with around 80% of attacks carried out by men on women. However, the UK seems to be bucking this trend and acid attack charities believe that corrosive substances are increasingly being used by gang members as an easily available weapon, with male-on-male attacks being more prevalent. Acid Survivors Trust International UK has also raised concerns that acid attacks in the UK may go underreported, particularly as victims do not pursue criminal charges against attackers for fear of reprisals. As one of the cruellest and most callous crimes, it’s time that the Government took serious action to not only understand the rise in its use as a method of violence in the UK but to ensure that preventive measures are put in place to end acid violence. A first step would be to collect and collate data on the number acid attacks and detail its use in relation to hate crime, gang-related crime and youth crime. There is currently no legislation which prevents or controls the sale of corrosive substances - currently, sulphuric acid can be purchased from as little as £1 both in stores and online. In the context of a crackdown on knife crime, the Government must not forget that those who wish to cause harm will seek to find new, easily available and cheap weapons. I’ve tabled a series of Parliamentary Questions, asking ministers what plans they have to start collecting information on attacks so that we can start looking at a national strategy to end acid violence. These horrific attacks cannot be ignored, and it's crucial that ministers act swiftly to protect people from this particularly cruel form of violence.